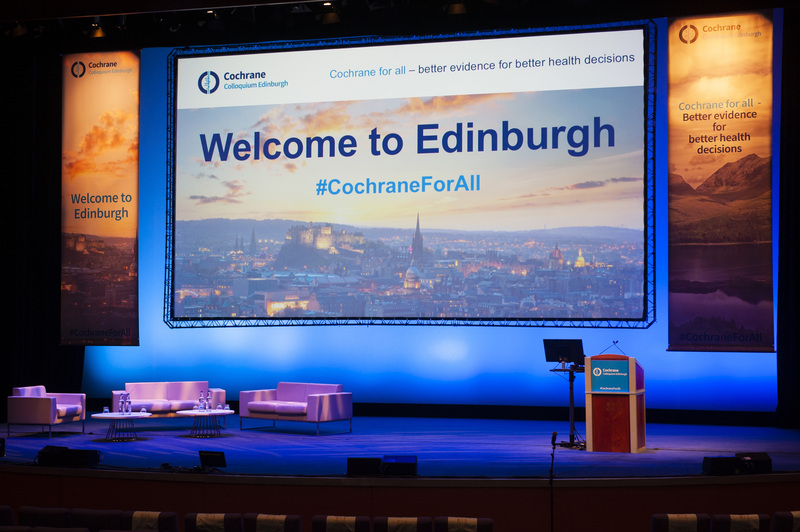 It was the first meeting of Cochrane, the Campbell Collaboration, the Guidelines International Network (G-I-N), the International Society for Evidence-based Health Care and the Joanna Briggs Institute, and, for our luck, it was our very first time attending a Colloquium. This event took place in the beautiful city of Cape Town, South Africa, the land of the first heart transplant. For us students, it was necessary to know what type of sessions, short or long, or workshops, we could attend, since the programme mentioned that all of these were aimed at a specific group of attendees. The colloquium is not only for experts in health research or evidence-based medicine, but also offers activities for those who are starting on the road. This plenary provided examples of how networks influenced evidence-based practice and evidence-based health policies, ending with a thought on how the evidence could achieve a more equitable world for all. In the plenary “Breaking down the silos: Digital and trustworthy evidence ecosystem”, Greg Ogrinc taught us that the combination of all improves the patients’ results, the system and the development of the professional. In the session “A dialog with founders: What approaches and activities ensure research achieves its expected impact?”, we reinforced our bases of evidence-based medicine and the steps to assure an impact in the society. The Students 4 Best Evidence workshop was, without a doubt, one of the most enjoyable because more students like us, and professors dedicated to the teaching of evidence-based medicine, attended. It was very gratifying to see more colleagues interested both in learning and in teaching, as the truth is that us, the new generations, have much to learn and this kind of knowledge should be available to all. In this workshop we had the message that one of the things we can do is to help each other. Plenary #3: “Evidence for emerging crises” was one of the most moving conferences, with the great video of “Let’s #OutsmartEpidemics” which tells us that an epidemic can start anywhere, reach anyone and end millions of lives, but working together we can #OutsmartEpidemics. It was amazing to see how many people stand for our beautiful language, Spanish. We should remember that everyone learns more in their native language. Related to this, the Cochrane Colloquium of 2019 will be held in Santiago, Chile. The best farewell was the great “Gala Dinner” with its peculiar menu of duck, cow cheeks, ox tail and ostrich fillet. And, of course, a little dancing never hurts. A great plus of the event was the host city, with its spectacular “Table Mountain”, one of the 7 natural wonders of the world, which day by day gave us a beautiful scenery, along with the imposing “Head of Lion”. These series of lectures for us undergraduate students, were understandable, enlisted key concepts, and always summarised the objectives at the end in a brief conclusion. 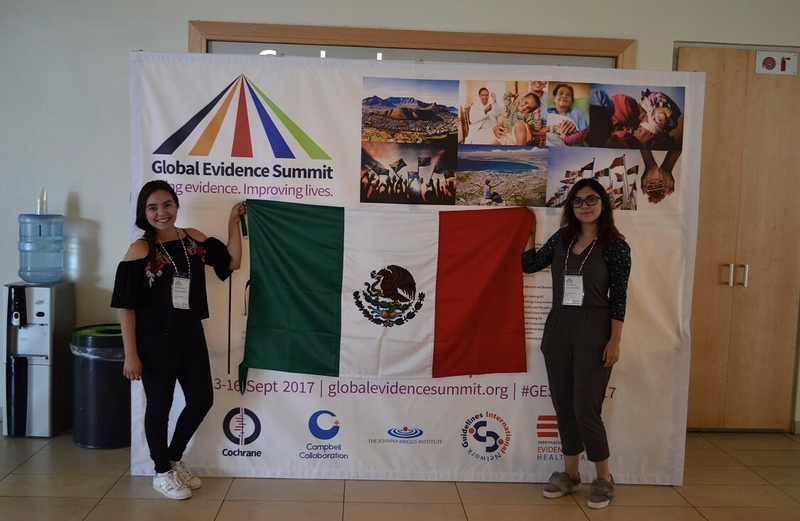 During the days of this Summit, we understood the reason of the motto “Using evidence, improving lives” and we were very inspired to follow this path. May this colloquium be the first of many, many more. We thank Dr. Giordano Perez Gaxiola for the opportunity and the trust, and our University, the Autonomous University of Sinaloa, for the support.